Twelve hundred metres of climbing - are you ready? If you're looking for a fitness goal for 2011, you may want to grab the bull by the horns on New Year's Day by signing up for the Test of Metal, an epic 67-kilo-metre mountain bike race held in Squamish. The 16th edition of the race, set for June 18, is popular with elite mountain bikers such as two-time Olympian Geoff Kabush, as well as novice riders keen to test their resolve on trails that include Nine-Mile Hill and the Powerhouse Plunge. For Julie Miller and Ryan Letchford, The Test, which has riders climb more than 1,200 metres and features 35 kilometres of single-track, offered more than a personal challenge -- it also brought them together as a couple. When Miller and Letchford met around 2002, sparks flew between them. But before long, Miller realized Letchford was after a girlfriend who could keep up with his active lifestyle. "He put me through your typical girlfriend tests before he could decide I was worthy of more than three dates," says Miller, 36. Squamish has a great triathlon club. Recently I was asked if I wanted to help out with some of the running sessions. I'll be preparing for the BMO Vancouver Marathon, held May 1, and thought others in Squamish might be preparing for the same event, or simply might want some company on those long runs. 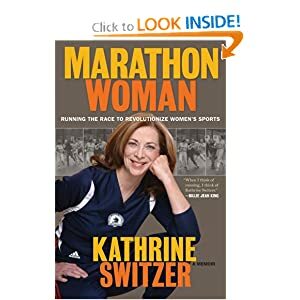 "Each Sunday leading up to the Vancouver Marathon in May 2011, Margreet Dietz will be doing a long run and club members are invited to come along! 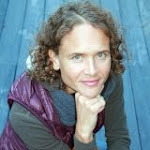 Margreet is an experienced marathoner and has written three books on running and triathlon. "Meet in Valleycliffe at 9am each Sunday - just bring water and some gels/bars. More details, including her schedule, are posted on the running page. Please note that, for now, this is not an "official" Titans event - we're just spreading the word about something great!" Marc Bloom's Run With the Champions: Training Programs and Secrets of America's 50 Greatest Runners is a great book that I've been reading in the past few days. I turned a few poems from my book Sunshine on a wooden floor into paintings. Using the paper from my final printed proof copy, I applied the paper onto the acrylic paint while it was still wet. This is the painting I did with the poem "Flight". Acrylic on 20x30" stretched canvas. Ready to hang. $50 (plus postage if you need shipping). Pick-up in Squamish. Includes a signed paperback copy of my book Sunshine on a wooden floor. 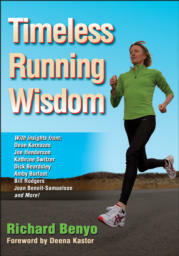 My book Powered From Within: Stories About Running & Triathlon is featured on the www.triathlontrainingprograms.org website of Peter and Julia Plourde. Please check out it here. Run Like a Girl by Charlotte Lettis Richardson is not a new film but it's simply the first time I came across this documentary. The film's website has an overview of the history of women's running (which is the reason I came across it). A link for the Run Like A Girl website is here. A copy, on DVD or VHS, can be ordered for $20. Today I finished my first National Novel Writing Month, in which you begin a novel from scratch and have one month to complete a first draft of 50,000 words. I finished today, one day before the November 30 deadline, with 50,124 words. Titled From My Mother, my novel is about a female ultrarunner pondering the many questions she has about her beloved but mysterious grandmother as she starts her longest race yet during which she finds answers in unexpected places. It's been a great experience, well outside my comfort zone since most of what I have written so far is non-fiction, and some poetry. I don't know if these 50,124 words will ever go beyond the first draft but even if they don't, it's been well worth it. Another challenge I took on this month as running a 100km road race and that is the topic of a book I've been working on. As of tomorow I will focus on completing this non-fiction book, my fourth, titled Hundred Reasons to Run 100km. I began writing these reasons before the race because I expected that the question, Why Am I Doing This? might pop into my mind at least once during the 100km Haney to Harrison. I wanted to make sure I had a few good answers that would help me stay motivated in this ultra challenge. In the lead-up to the race I filled more than 80 pages, one reason on each, to run 100km. And perhaps as a result of that I did not wonder once during the race why I was challenging my mind and body to cover such a large distance on foot. I have begun revising and rewriting this first draft. My partner Tim, a longtime professional journalist and editor who has been the most important sounding board in my four published books so far, has also read that first draft and provided feedback. Having just finished NaNoWriMo earlier today, after a week of monster writing days to make up for falling behind in the third week, it's too soon for me to fully appreciate all the benefits and lessons from writing my first draft for a novel (I've written very little to no fiction besides my start on the Ironwoman novel). What attracted me to the NaNoWriMo concept is that nothing makes you write more than an (self-)imposed daily word count. It's the same concept I recommend, through 33 exercises, in my third book A Work in Progress: Exercises in Writing, for which I wrote the first draft in eight straight days. (I spent another four months rewriting and revising it almost a year later before publishing it in May this year). My schedule this month was as usual, though waking a little earlier, as early as 5am, and writing fiction. I always head straight for the kettle to prepare my favourite coffee: four large spoons of President's Choice Hazelnut Cream made in the Bodum coffee press. In the mean time I am starting up my netbook, which I use as my main computer, that is hooked up to an 18-inch ViewSonic screen and then quickly check my emails and online book sales. With the coffee ready, a mug and some milk, I sit at my desk, as always chaotically covered with all kinds of stuff, and begin writing. My routine will be the same tomorrow but I'll get back to working on non-fiction. As I am planning my 2011 race season, I know that I want to focus on speed in the first four months. My first race will be the First Half Marathon, held on Feb. 13, in Vancouver, which is only 10 weeks away. In the past three months I have done no speedwork, the first time in 5 1/2 years that I have taken such a long break from that. Instead I ran as I pleased, doing lots of trail runs with my dog Luka. Mentally I find it easier to cope with running for a long time at an easy pace than trying to push myself to run as fast as possible in speed workouts. So training for and running a 100km race was a perfect fit, after doing a 50-mile trail race in early August. But now I am keen to resume the quest for speed, in particular my quest for the sub-3 marathon. The key question is what training program to follow? I haven't answered that one yet. My plan is to work very hard on my speed for the First Half Marathon and subsequently for the Vancouver Marathon on May 1 or the North Olympic Discovery Marathon on June 5 (possibly both). I'd also like to do the 50km Diez Vista trail race in April. For the second half of 2011 I am looking at some more ultras and am tempted by races including the 125km Canadian Death Race and the 148km Sinister 7 (for which registration opens December 1). Both races are held in July. The STORMY in Squamish on the first weekend of August is already firmly on my schedule but here's the key question: Do I sign up for the 50-mile, like I did this year, OR do I register for the 100-mile option? The possibility of running 100 miles has been on my mind since I finished the 100km three weeks ago. Obviously it is a lot further than 100km plus the added challenge is that I'd have to negotiate a part of the course at night. I believe I am ready to prepare for a 100 miler as I am extremely curious to find out what it is like which I think is always a positive sign. In our running, like in life, if we truly want to do something and set about preparing properly we usually have a good chance at achieving what we set out to do. This year I enjoyed doing a wider range of distances, from 10km to 100km and running both on the road and on trails. Tacking on a few more kilometres would open up more possibilities for the 2012 as I have been intrigued by the famous 100 milers in the U.S. such as the Western States. As for now, I first need to decide on a training program soon that will help me return to working on my speed. Perhaps I will enjoy that so much that the 100 mile can wait another year. 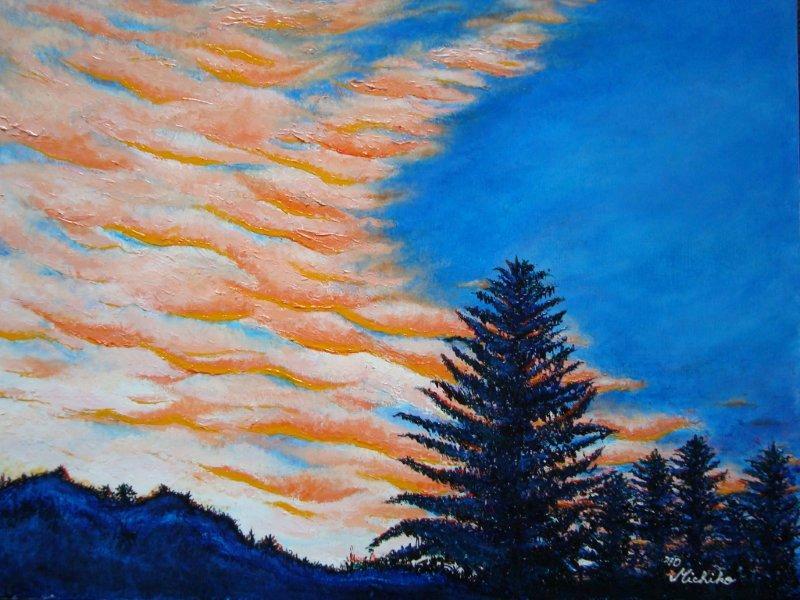 As of yesterday I am a member of the West Vancouver Community Arts Council. My books A Work in Progress: Exercises in Writing and Sunshine on a wooden floor (poems) are available for purchase in its Silk Purse art gallery, a beautiful exhibition space with spectacular views of Stanley Park. The Silk Purse is at 1570 Argyle Ave in West Vancouver. It's open Tuesday through Sunday from noon until 5pm. 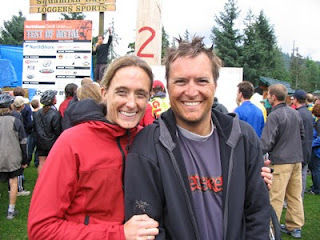 As my recovery from the Haney to Harrison 100km is progressing well, I have been thinking more about the 2011 season. I love race planning. The other day a friend wondered out loud how people decide on which races to do. A very good question. For me, 2011 is about having a variety of distances, terrains and of course goals. Having run two ultras this year, I really enjoyed the variety it brought to my 5km, 10km, half - and marathon mix of the past five years. I absolutely love running and since I realized I love ultras I now have even more races to choose from. I'd like to get faster on the 10km, half - and marathon distance, particularly in the latter I am keen to get closer to that elusive 3-hour mark. With ultras I can be a beginner again, especially if they are on trails since I am a reasonably novice trail runner who is not yet very adept at negotiating down-hill trails. The distances are new, which allows me to do them with an open mind toward the time and focus on finishing. Race planning is about finding goals that interest and excite you, whether it is getting faster or running further - or just trying something new. With so many races on offer in and around Squamish that I haven't run that often, or not at all yet, I am happy to stay relatively close to home. Having said that, planning trips around races are always a great way to focus travel plans. For 2011, I'd like to start with the First Half Marathon in February, hopefully followed by the Diez Vistas 50km trail run in March and then moving along to the Vancouver Marathon at the start of May. The STORMY 50 mile trail was such a great experience that I'd like to do that one again, which is early August. (A very tiny part of me is wondering if I should try adding a second lap this year - but for now 100 miles seems a distance I am not quite ready for). Another race that looks great is the Tucson Marathon because of its superswift-looking race profile. The Pique's sports reporter Andrew Mitchell wrote a story about the Haney to Harrison 100km race, featuring the two Sea to Sky residents who ran it, i.e. Pemberton's Tyler Petrusic and me, a Squamish resident. You can read the online version here. Tim and I met Tyler, his parents and his wife Heather, who crewed for Tyler, after the race. It was great to meet them. We shared a few good laughs and I hope we'll meet again soon! Tomorrow I am meeting another H2H ultrarunner for a coffee in downtown Vancouver and I am very much looking forward to catching up with her. This is the woman who has finished four Ironman races, one Ultraman and four Haney to Harrison 100km's, AND is set to race Ironman Cozumel next weekend. Triathlon and running has always been a great way to meet people and my closest friends now I met through either sport. Ultrarunning is an even better way to come across some extraordinary people as the pace at the start of a race is very conducive to a good chat, at least before halfway. In fact this afternoon I am catching up with another local ultrarunner. We ran into each other, out for a run with our respective dogs, on a Squamish trail in May. When she told me she was training for STORMY, and we had a great chat as we ran together for the next hour, I took it as a sign for me to try that 50-miler. While she unfortunately was unable to race that one, she has done a 50km race (of which the course was first straight up a mountain and then straight down) and her first marathon only a month later in a superb sub-4 hour finish. We somehow haven't been able to meet up since our races, for a combined 200km, and I cannot wait to hear more details about her events. Since my novel is about a female ultrarunner doing her longest race yet, I naturally had some additional inspiration after this weekend and managed to write 3,234 words today - ultrawriting you may call it. That brought me back on track to finishing my 50,000 words on time by writing 1,744 words a day for the rest of the month. However, there are still plenty of days remaining so I am certainly not there yet. I have a feeling that the third week is going to be the most challenging as that is what tends to happen with all big challenges we take on in life - including the 100km I ran on Saturday. A natural fatigue often sets in once we complete about two thirds of a certain task and we tend to lose sight of how close we are to finishing. But like Saturday, when I struggled after 65km of running with the knowledge I had another 35km to go, we must simply keep moving forward. By focusing on what's possible right now - whether it's taking one step or writing one word, then another one and another - we are moving forward and we must keep moving. Before long we'll be surprised how that one step or that one word has led us to accomplishing that monumental goal that seemed so far away not that long ago. Trust me, that's how I reached the finish line this Saturday and I will certainly remind myself of that every single day when I am working on my first novel manuscript in NaNoWriMo during the remainder of this month. We succeed when we simply refuse to give up. Another ultrarunner Susan and I shared a great chat for the first couple of hours. It's dark when I wake up today. Immediately my thoughts turn to tomorrow's 100-kilometre race, my first attempt to run this distance. For the past two weeks I have been looking forward to it, impatient for the calendar to turn to November 6. Excitement and joyful anticipation have been at the forefront of my mind. Now, less than 24 hours before the start at 4am tomorrow morning, I feel a surge of panic and fear, a familiar feeling that I have had, in different measures, before most (if not all) of the 13 marathons, five Ironmans, three ultras and more than 100 other triathlons and running races I've done since running my first race, the 20km of Brussels in May 1997. It's natural to feel nervous and anxious before a race, especially the day before. The event is almost there but not quite yet. One more day, one more sleep. So you are left to worry whether you have prepared everything: yourself, your clothes, race food, race number, how to get to the race, where to start, will there be enough portapottys, and so on. I am sure there will be plenty of nerves building among the tens of thousands of runners getting ready to race the ING New York Marathon this weekend. Like I did this morning, many others may wonder too: can I do it? Can I finish this race? Can I do it in the time I want? As I feel the familiar surge of apprehension race through my body now, I instantly decide to replace it with positive thoughts. My mind must return to the excitement and joyful anticipation I have been feeling. There is no need, no use and no time for anxiety. Nerves, sure, that's OK, even good energy. But brick-in-my-stomach-fear? No, I don't have energy to waste on that today nor tomorrow morning. And neither should you. Remind yourself of all the training you have done, and you know that you are ready to put in your best effort. Focus on what's possible. Think positive. Make sure your gear is ready, clothing, socks, shoes, race number, gels, bars, a throwaway sweater to keep you warm as you wait for the start. And if the weather calls for rain, bring a garbage bag to keep you dry until the start. Go over your race plans. Remember to begin easy, even as the adrenaline of the start may cause many to begin too fast. Slow down. Ease into your pace. You will be grateful for it by the time 30km comes around. Think positive. Breathe. Enjoy the spectators. Live the experience. It's fantastic. You will have a drink of water at each aid station. You will take your gels, or bars, as planned during the race. You're ready for the challenge, and committed to enjoying it. It takes courage. Each race is a challenge - "A test of one's abilities or resources in a demanding but stimulating undertaking." Celebrate the fact that you are racing, that you made it to that startline. Especially if this is your first marathon, celebrate and enjoy the new experience! Think positive and enabling thoughts. Your mind controls your body. During the race, remind yourself every 15 minutes or so to relax as you run. Relax everything, from your face, to your shoulders, arms, legs. Be patient. Patience in the first 30km will pay off in the final 12.195km. If you need a walk break, take it but limit it to only a minute or two. Then resume a jog. Breathe and focus on what's possible. The next step is possible. And another. Keep moving forward. Remember your determination. You can do it. Even when you feel really bad, you can think positive about that too. In fact there are two positives: one, you're unlikely to feel worse than you are right now, and, two, you will soon feel better. Have a drink, a gel, a deep breath. This is what it's all about. This is why you are here, because it is a challenge. Encourage others, even when you will feel bad, because it will help them and you feel better. Chat with someone, even if it's only a few words. Smile. Spectators will tell you that you look awesome, especially when you smile past 30km. Enjoy the journey, relish the challenge, and keep moving. Whatever you do, keep moving until you reach the finishline. Have an awesome race! I know you will. I sure am looking forward to mine, the Haney to Harrison 100km. With the Haney to Harrison 100km race start about 36 hours from now, I am finalizing my gear for this race in which solo runners are required to have a crew of at least one person to keep them hydrated and fed along the way. Tim has agreed to crew for me, and doggy Luka will be along to keep him company. We drove the course two weeks ago to help us on race day which starts at 4am, so it will be dark for the first 3 1/2 hours. Aside from the 17 solo runners, of which I am one, there are also plenty of relay teams which start as early as 6am. The start felt challenging this morning but I reminded myself to relax and just write. In the end it took me about 90 minutes to write a little over 1800 words today. It's great. Hopefully I can keep this up. In fact I will need to produce more than the daily average in the coming days to compensate for the fact that I won't be able to write on Saturday when I will spend my day running 100km, from Haney to Harrison. Having said that, I do plan on using the creative energy that is released in my run on plotting more of this book, with the working title From My Mother. She retied her shoelaces. She always did as she waited for the start. She wanted to make sure. Tightened them, just a little, not too much. Retie the double knot. She never forgot about the double knot. Never had understood those who had to stop mid-race to waste time on laces that had rebelled and come undone. There was no time to come undone. Meanwhile I am also working on my 100 reasons to run 100km. This is now at 63 pages, holding 59 reasons in 13,500 words. A few more pages, 41, to go but I have no doubt I will find enoug reasons, if not before, than for sure during the race. This year I decided to join the National Novel Writing Month. And I suggested Tim do so too, which he did. We both started this morning and our joint word count is on track for the daily required average of 1667 per person. I am actually not quite sure how it works other than the fact that I need to write 50,000 words of fiction this month. But I don't know what to upload where and when. It seems there are statistics that you should keep in your profile. As I tried to do so this morning, it's clear that NaNoWriMo is popular, on the first day, as the site is sluggish, very very sluggish. So for now I might return to my other big project, write 100 reasons to run 100km (which I am doing this Saturday, for the first time), and try the NaNoWriMo website again a little later. Both are feats of endurance that require a combination of mental determination and self-belief. You must commit to finishing what you start. You must also commit to believing that you can. I can guarantee you, from experience, that both in endurance races as well as in producing books there will be more than one moment when you will doubt that you're able to do it. In those moments you need to remind yourself of the commitment you made and simply believe that you can. You can and you will. There's no tangible evidence. But you can create it by persisting. Make it happen. Write those 50,000 words. Do not stop until you've reached the finishline. That's how running works. Of course you must prepare yourself physically with adequate training. You can't just wake up one day and decide to run 100km, just like that. Well maybe just maybe you can, if your life depended on it, but it wouldn't be pretty or enjoyable. Likewise I think you need already have made regular writing a part of your life if you want to succeed in the challenging goal of NaNoWriMo, which I suspect is the case for most who have signed up. When I did a reading of my third book A Work in Progress: Exercises in Writing for the Squamish Writers Group two weeks ago, one of the writers there was an American guy in his 20s. Having just finished his PhD in biomedical engineering and being an avid rock climber, he had decided to a 2 1/2 month break and spend it in Squamish, an absolute mecca for rock climbers. He also commited to writing a novel in those 2 1/2 months. When I met him at the reading he was one week away from going back home and returning to his profession. As for his manuscript? He'd written 70,000 words of his SciFi novel in his time here and was determined to finish it. I have no doubt he will and I hope he'll send me an email, as I asked him to do, when it's in print.